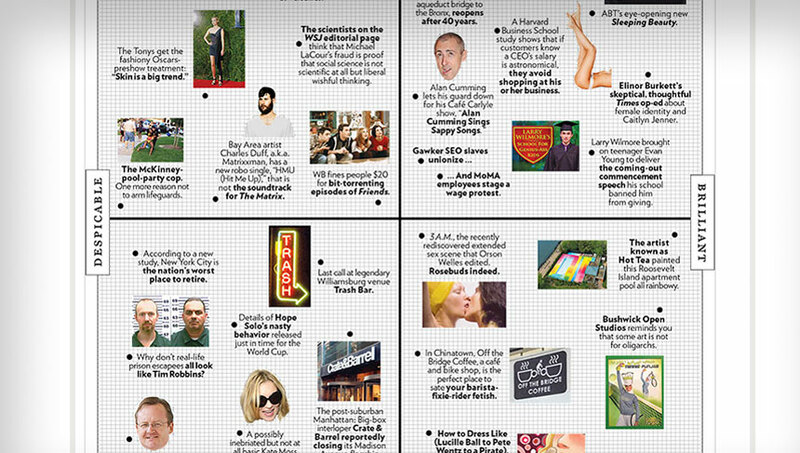 HOTTEA’s artistic transformation of the Manhattan Park pool has generated a great deal of buzz—the latest of which coming from New York magazine, which deemed the tranformation brilliant enough to appear on the Approval Matrix for June 15, 2015. One of the hottest artists in the country is giving Manhattan Park residents the coolest pool in the city. The chromatic design comes from HOTTEA (aka, Eric Rieger), whose work with color and textures has reinvented public space on streets and in museums across America. This poolscape renovation—with new chaise lounges, umbrellas, cabana screens and more—is just the beginning of an imaginative Manhattan Park makeover. We’re excited to exhibit one of HOTTEA’s first works in New York City for the enjoyment of our residents and their families.